Which FHA Refinance Loan Is Right For You? 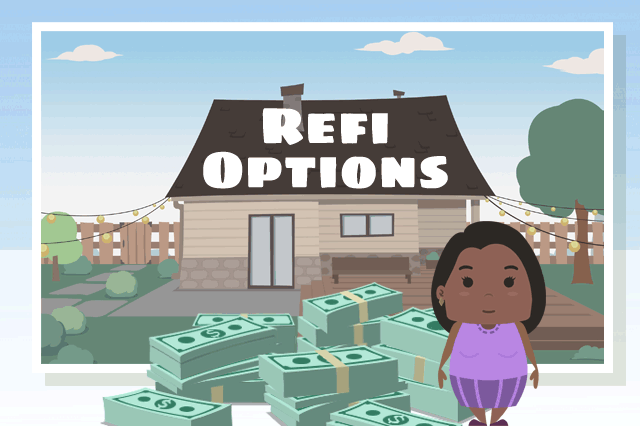 When it’s time to refinance, the type of FHA loan you apply for will depend on the outcome of the loan-do you want cash out? A lower mortgage payment? Do you need to do rehab or repairs? Each refinance is different and there isn’t a one-size-fits-all solution. May 27, 2018 - There are several types, but depending on your financial needs there may be a specific refinance you should look into first. When you buy the home initially, you are using a new purchase FHA loan for existing construction or a One-Time Close construction loan to have property built for you from the ground up. If you are buying a home as a new purchase without fixer-upper options, you are looking into an FHA 203(b) purchase loan. FHA Cash-Out refinance loans require an appraisal and a new credit check. The amount of cash out to the borrower will depend on a variety of factors including equity, and closing costs. No cash-out loans do exactly what you think they do; HUD 4000.1 (the FHA loan handbook) describes a No Cash-Out Refinance as "a refinance of any Mortgage in which the mortgage proceeds are limited to the purpose of extinguishing the existing debt and costs associated with the transaction." FHA has three different types of No Cash-Out Refinance loans. The one you choose will depend on your needs. This FHA refi is defined as “a no cash-out refinance of an existing FHA-insured Mortgage in which all proceeds are used to pay the existing FHA-insured mortgage lien on the subject Property and costs associated with the transaction. What is the basic difference between Simple and Rate and Term? Simple Refinance loans are for existing FHA mortgages, while Rate and Term refinancing does not specify the original loan must be FHA. Streamline Refinance is a refinance loan with no cash out to the borrower and is good only for existing FHA-insured Mortgage. There are two types. One requires a credit check and the other is a non-credit qualifying loan.